Chase Bank offers a variety of checking accounts for people of all ages, ranging from the student entering high school to the one who needs nine checking accounts. Like most banks, Chase will charge a fee to maintain an account, but in most cases, this fee can be waived as long as you meet certain requirements. How much does it cost to open a Chase bank account? The costs to open a Chase bank account will greatly depend on the type of bank account you open as each one will offer its own features and minimum fees, if applicable. The more features you want generally, as with any bank, then the more you should expect to pay per month. With a few accounts available to the public as of this publishing, we broke down the costs inside the table below for more information. Keep in mind, however, that these prices are as of this publishing in 2018 and are subject to change. This is the most basic account offered by the bank and requires a minimum deposit of $25 to open an account. The maintenance fee is $12; however, students can see this fee cut in half as long as they are enrolled in high school or college. These bank account holders will pay no ATM fees as long as in-network and all account holders have access to free online banking and bill pay features. A middle-tiered bank account designed for customers who want to earn interest, usually around 0.01%, this bank account, like the Total Checking option, will require a $25 minimum deposit to open an account. 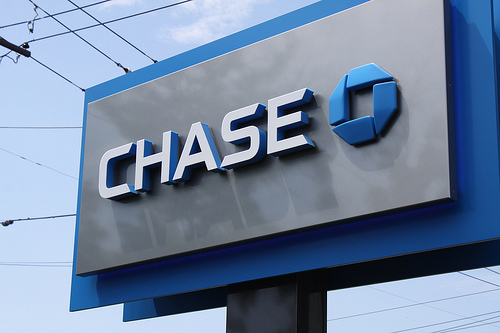 With a higher service fee of $25, this account option offers the same access to the Chase features such as online bill pay, but unlike Total Checking customers, Premier Plus Checking account holders can use four out-of-network ATMs a year, pay no fees on Chase design checks, no annual rent for a 3 x 5 inch safe deposit box and no fees on counter checks, money orders and cashier's checks. As the name indicates, this is the "platinum" checking option, offering a variety of features such as no ATM fees, even out of network, no personal check fees, no cashier's/counter check fees, no debit card replacement fees, no fees for returned items, no wire transfer fees, no extended overdraft fees and free annual use of a safety deposit. The monthly service fee for this account is $25; however, it can be waived if you meet certain requirements with the bank as noted below. This account requires a $100 minimum deposit to open. NOTE: These fees, again, are subject to change. Refer to the official documentation on the Chase bank website for up-to-date bank account information and fees. Chase College Checking: A direct deposit needs to be made to the account monthly or average ending day balance of $5,000+ on the account. Chase Total Checking®: Direct deposits should total at least $500 per monthly statement period such as an ACH credit, payroll, pension or government benefits, such as Social Security, or a balance at the beginning of each day of $1,500 or a day balance of $5,000 or more in any combination of this account and linked qualifying deposits/investments. Chase Premier Plus Checking: An average beginning day balance of $15,000 or more in any combination of the account and any linked qualifying deposits/investments or have a linked qualifying first mortgage that is enrolled in automatic payments. Chase Premier Platinum Checking: An average beginning day balance of $75,000 or more in any combination of the account and any linked qualifying deposits/investments. First, in order to open a bank account with Chase, you will need to provide the following information to start: your social security number, a driver’s license, all of your necessary contact information (name, address, etc) and the money for your first opening deposit. Next, you have three ways to apply for a new account: either via the official website, inside of a local branch or you can call Chase directly via their toll-free number at 877-242-7372 to have a representative guide you through the process. Regardless of which option you choose, you will need to provide the proper documentation as noted earlier in order to get approved for an account. While signing up, be prepared to enter a coupon code if you have one, answer questions about your citizenship, provide your contact information, social security number, birthdate and other details. Chase will also ask some questions about your assets, liabilities, income and employment as well. Lastly, as long as the bank approves your account based on the information provided, then you will be asked to deposit the minimum funds, which, as you can see in the table above, will vary, often anywhere from $25 to $100. This deposit will be done via an electronic transfer from another bank. Chase Bank almost always will have bonus codes or links that commonly offer a bonus ranging from $200 to more than $500, depending on which account you open. Be sure to check online or even talk with the bank to see what kind of bonuses are currently available for first-time customers. To be eligible for an account, potential account holders must be a U.S. citizen, have a valid Social Security number and use a U.S. postal address. Nonresidents may be eligible, but to qualify, Chase will direct you to the international banking site. Customers, as stated, must meet the deposit requirements as well.